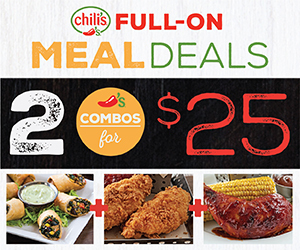 Buffet lunch: 11:30 a.m. – 2 p.m.
Dinner: 6 p.m. – 9:30 p.m. 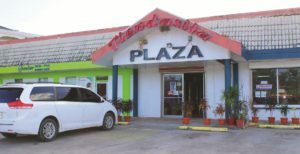 Owner: City Hill Co. (Guam) Ltd. 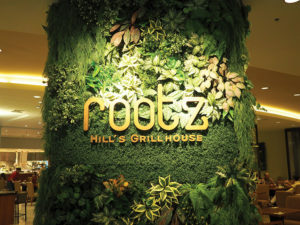 Replacing the former Jia Asian Bistro in the Guam Plaza Resort lobby, Rootz, The Hill’s Grillhouse features a revamped menu by Guam Plaza Resort Executive Chef Dennis Salenga and a new concept. The restaurant opened its breakfast and lunch buffet services on Feb. 1 and launched its dinner services, offering an a la carte menu featuring porter house steak, rack of lamb and other grilled options, on Feb. 12. The kitchen was completely renovated for an open concept and includes a copper pizza grill, teppenyaki grill and robata grill. Plans are underway to redesign the dining area. Casual Filipino food is served by Chef Vincente F. “Cinti” Fabella, including popular fare such as crispy kare-kare, prixilog, bulalo and tocilog. Fabella has previously owned restaurants in the Philippines and cooked in the Middle East prior to arriving on Guam. 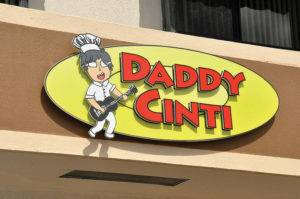 Live music is available during dinner hours by the owner and daughter duo, who play acoustic and bass guitar and sing. 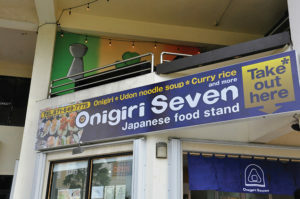 The take-out food stand serves casual Japanese food including onigiri rice balls with various fillings, udon noodles and curry rice. Onigiri selections vary daily, starting from $1, including fillings such as mentaiko, karaage chicken, shrimp tempura, natto, tuna mayonnaise, salmon, spam and yakiniku. The stand is owned by Hitomi Sako, who also owns and operates Core BBQ & Seafood Restaurant in Tumon. The more upscale location of its sister restaurant, Sakura Kitchen, Sakura Dining is twice the size and features a variety of Japanese cuisine, including sushi, steak and bento boxes. 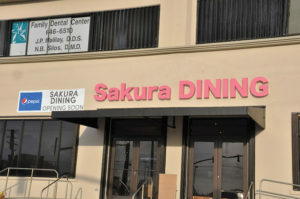 Louzelyn said the addition of steak is one of the main differences from Sakura Kitchen, but fans of Sakura Kitchen will be able to enjoy a variety of familiar dishes as well. Portion sizes are larger, but the owners aimed to keep prices affordable, she said. 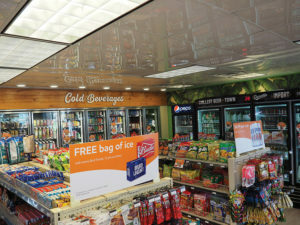 PE&J LLC launched the Tenda convenience store concept for the six Mobil convenience stores under its management with the completion of renovations to the Adelup Mobil convenience store in May. The Tenda concept, which means “store” in Chamorro, enhances food offerings and incorporates local favorites ranging from soups and hot meals to pastries and desserts from well-known local vendors, including Gourmet Guam, Pop’s Bakery, Joann’s Bakery, Cali Cakery and B&G Pacific LLC. Tenda features fresh coffee and tea programs, F’Real shakes, Icees and soft-serve ice cream soon to include flavors familiar to the island community, including lychee, melon and passion orange. 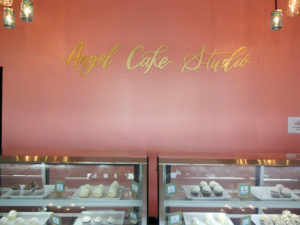 Angel E. Bowden opened the 1,500-square-foot store next to Brewed Awakenings after having baked custom cakes at home for more than 11 years and running her business from home since 2013. She makes around 300 cupcakes a day in addition to designing custom cakes in the store she runs by herself. The best-selling flavors are The Jenn, made with dark chocolate and Nutella, and Red Velvet. Later this year Bowden hopes to have a cupcake truck that she can set up at various night markets across the island. She also has plans to start cupcake decorating parties for children’s birthdays and events. 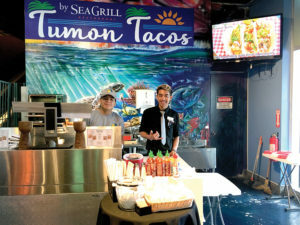 Sea Grill Restaurant opened Tumon Tacos in October to show off its culinary capabilities in a casual and inexpensive style. 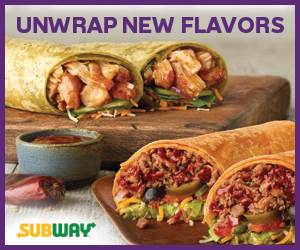 Tacos vary in fillings such as chicken, steak, brisket, tofu, fish, shrimp, tuna poke and periodic chef’s specials. Customers can dine inside the lobby or outside at covered sidewalk tables or order for pick-up. Owner: Young Min Choi, Tri-Hans Corp. Owner Young Min Choi combined a kids café with the bakery and café, a concept she frequently saw in South Korea that her 9-year-old daughter enjoys. Parents can enjoy their meals and beverages while children play in the play station. The café features smoothies, coffee and snow ice made with milk. For breakfast and lunch a variety of baked goods are available including bagels, waffles, bread and pastries. Other menu items include ham and turkey sandwiches and different types of fried rice, such as kimchee fried rice and ham fried rice. Choi plans to add pasta dishes, hamburgers and long waffles for large groups to the menu in the near future. 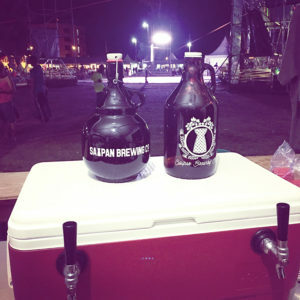 Saipan Brewing Co. opened a taproom in the Everest Kitchen in Garapan. The taproom features 10 taps of craft beer produced in the company’s brewery, including Pika Pale Ale, made from local Sali, or boonie peppers. The brewery, operated by owners and brew masters Jay Wolfe and Steve Sablan, opened in June and distributes craft beer, cider and hard soda to various retailers in Saipan, including Joeten Superstore. The small eatery, which can accommodate about 10 to 15 customers, features local and Filipino dishes, such as Lizama’s specialties, including malabon pancit guisado and Native Cake with a twist. Cucina Ni Mary also features local favorites and healthy options and offers catering services for special occasions.